MaTu Verpackungen GmbH was founded in 1995 in Eilenburg, Germany. We produce wooden industrial goods as well as any kind of wooden packages. 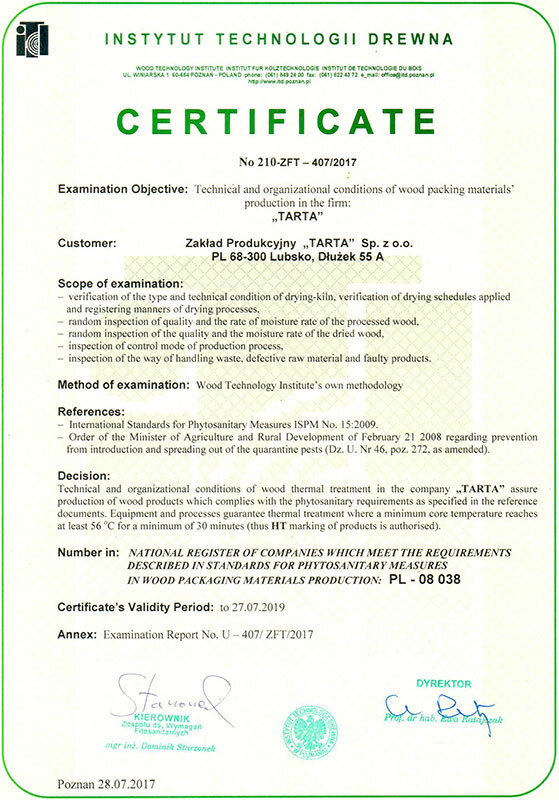 To meet our customers' needs, if necessary, we use heat treated wood, kiln-dried (IPPC since 01.01.2004) or air-dried for our products.